Denny's franchise business opportunity. Free Denny's franchise information. In 1953, Harold Butler opened Danny's Donuts, a <?xml:namespace prefix = st1 ns = "urn:schemas-microsoft-com:office:smarttags" />Lakewood, California, stand that served coffee and doughnuts 24 hours a day. The following year, the stand grew and its name was changed to Danny's Coffee Shops. Five years later, there were 20 shops in the chain, and the company changed its name to Denny's. Denny's locations serve breakfast, lunch and dinner choices 24 hours a day. 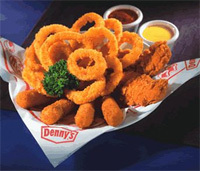 Denny’s is the most recognized name in family dining providing good food and service for more than 50 years. With approximately 1,600 restaurants across America and system wide sales of more than $2 billion, Denny’s is the largest full-service family restaurant chain in the United States. Denny's is committed to become the best family restaurant system in the world. 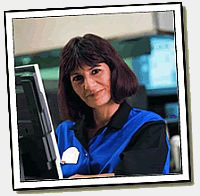 Denny's care in recruiting, training and developing franchisees is a key factor in the growth of our franchise system. Denny’s is currently seeking qualified candidates in selected markets throughout the U.S.
To learn more about the Denny's franchise opportunity, simply complete the form below.